We pick up our post-NAMM coverage where we left off after the show. 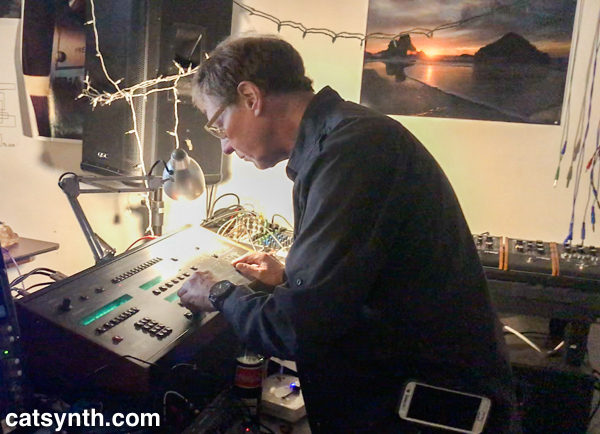 As stated in earlier articles, this was a great year for synthesizers, including analog modular synthesizers. For the first time, several manufacturers formed a super booth in Hall A in the main show floor. 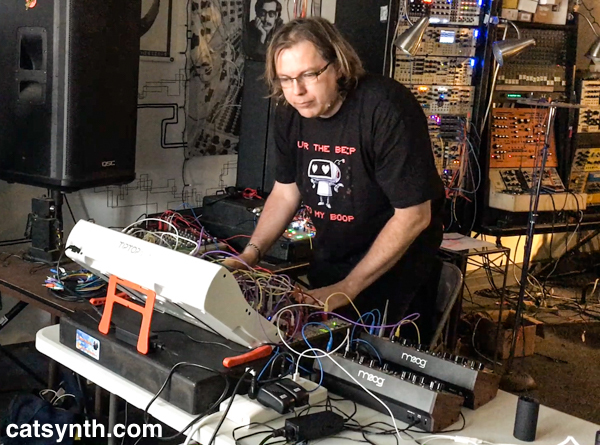 Holding court in the center was Deiter Doepfer himself with a giant Doepfer modular system. 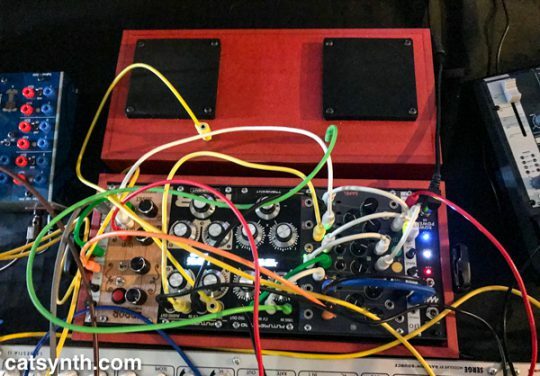 The new modules from Doepfer this year included an opto FET filter (an alternative to the popular vactrol filters), a quadrature thru-zero VCO, and a large trigger sequencer. The trigger sequencer has a nice appearance and provides a lot of outputs. It plays well with a new clock divider that Doepfer introduced as well. The FET filter has some interesting properties for doing FM filter effects as it can modulate much faster, though it apparently distorts at higher volumes. JoMoX has been long known for its small tabletop instruments. 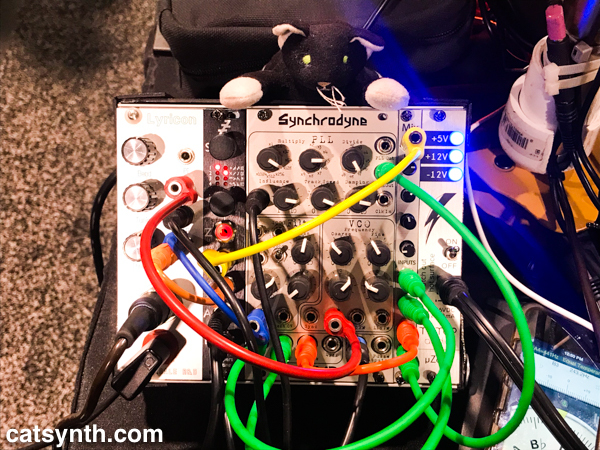 This year, like several other manufacturers, they introduced Eurorack modular versions, including the T-rackonizer filter matrix along with some of their drum synths. 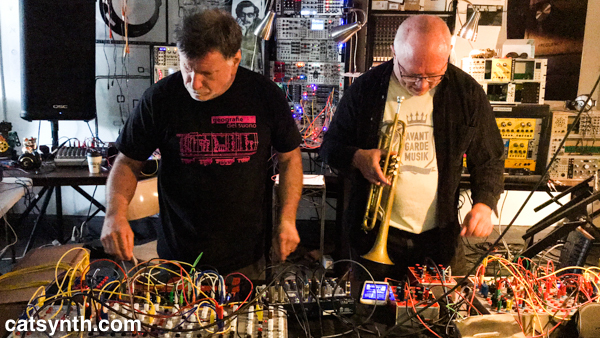 Black Market Modular collaborated with Foxtone Music to bring the Colour Pallete to the Eurorack modular format. It’s really a “modular inside a modular”, where one can mix and match up to three “colour palettes” (expansion cards) that operate as standalone modules, each with its own VCA. They hope to release more expansion cards over time, which will be compatible with their outboard system. Another interesting collaboration featured WMD and Steady-State Fate (SSF). There are some basic modulesl, but also some specialized sound and control elements such as the Spectrum and Mini Slew modules. And all of them can put together in this neat little case complete with keyboard that supports MIDI and CV. 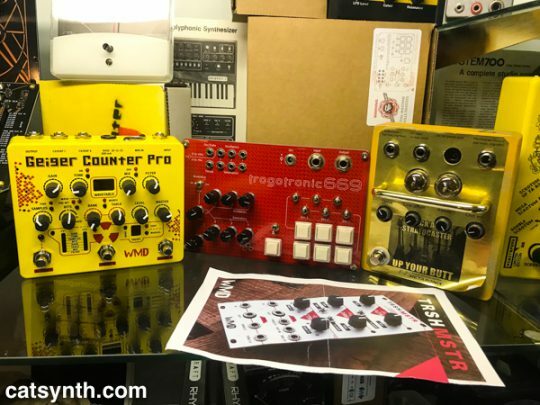 This is only the beginning of what was on display in the analog modular superbooth 6990. More will be presented in subsequent articles.